Hello LDV Readers! I am Capella and I am thrilled to be bringing you my first contibutor post for my new series, Design by the Details. 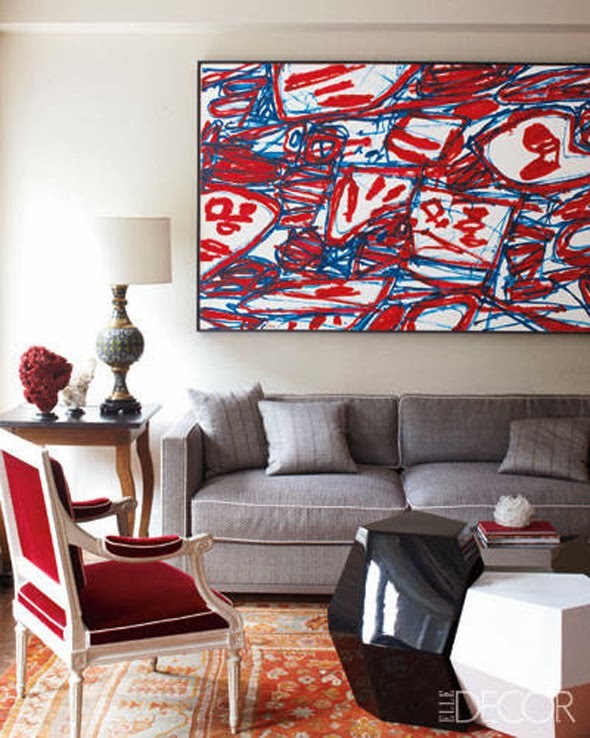 Design by the Details is going to focus on single elements of bringing spaces together. We'll delve into some of the history of the piece, the use, and talk about modern use and how you can use these elements right now. Pronounce: Cloy-son-ne What: Intricate metalwork filled with different colored enamel. History: Leave it to the ancient people of what is now Egypt, Syria & Turkey to create such beautiful and intricate works of art. First thin wires or strips of metal are adhered to the metal vessel (lamp, bowl, bead, bracelet, etc) creating compartments. These compartments are then filled in with different colored enamel and occassionally gems, stone, or glass. This art eventually spread to China and Europe. To be true cloisonne, the technique must be as described above and not painted on (Canton enamel) or in which the vessel has recessess made that are filled in with enamel (champlevé enamel). As cloisons translates to compartments in French. The price of a cloisonne piece can vary greatly and depends on the metal used for the body and the detail, size, and age of the piece. 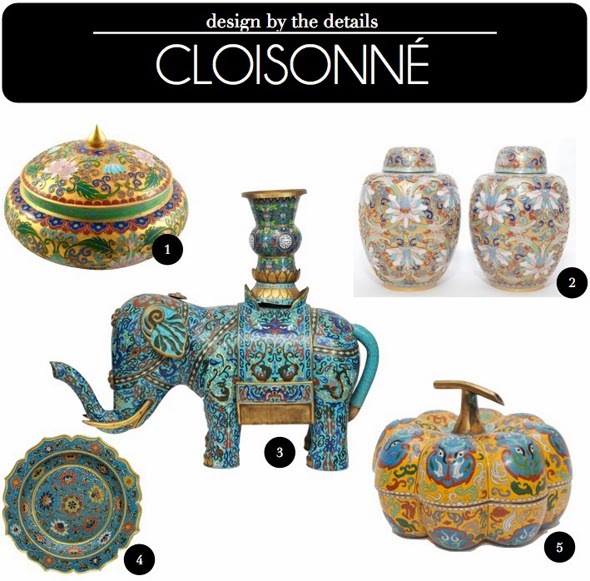 Use: As you can see from the images below, cloisonne can fit in a wide range of styles and decors. Closionne will add a ton of color, but still gives a nod to the traditional arts. As you can see from the images below a single lamp or bowl can make a nice impact in a room and fits in many different styles. 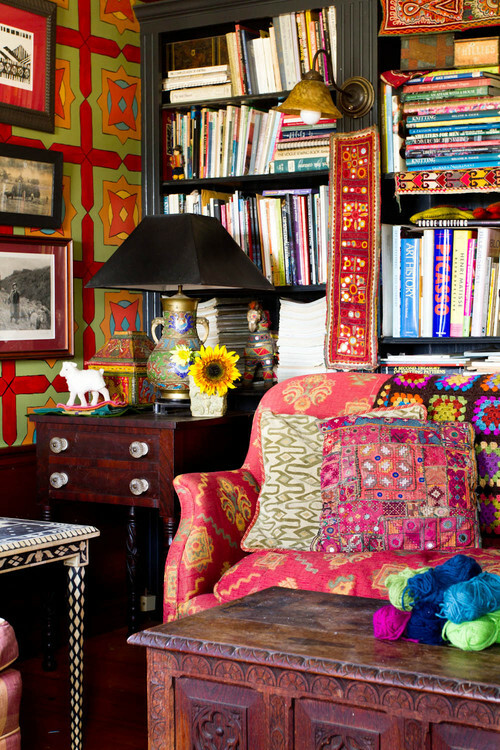 I'd love to hear from you in the comments below: how would you use cloisonne? My mother had the most beautiful cloisonné collection when I was growing up. Thank you for sharing this.